Applicants for the pre-doctoral positions must have completed all coursework and examinations in a relevant area of study, that is, in literary studies, history of science, Romance languages and literatures, Latin American studies, geography, art history, visual studies, cultural studies, history, ethnography. Applicants for the postdoctoral positions must have their Ph.D. degree in these fields in hand. It is NOT required that applicants have already done scholarly work in on the stated research topic, that is, on Alexander von Humboldt. Because the University of Potsdam seeks to increase the percentage of women in academia, women are especially encouraged to apply. Applications from the differently abled are similarly encouraged. 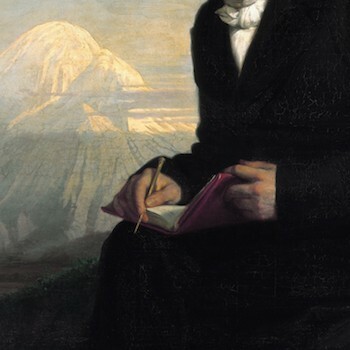 This entry was posted in 2014, Job Openings, Projects and tagged Alexander von Humboldt, Art History, Cultural Studies, Ethnography, Federal Ministry of Education and Research, Geography, History, History of Science, humboldt.ART, Latin America, Latin American Studies, Ottmar Ette, Romance Studies, Stiftung Preußischer Kulturbesitz, University of Potsdam, Visual Studies by Redaktion. Bookmark the permalink.